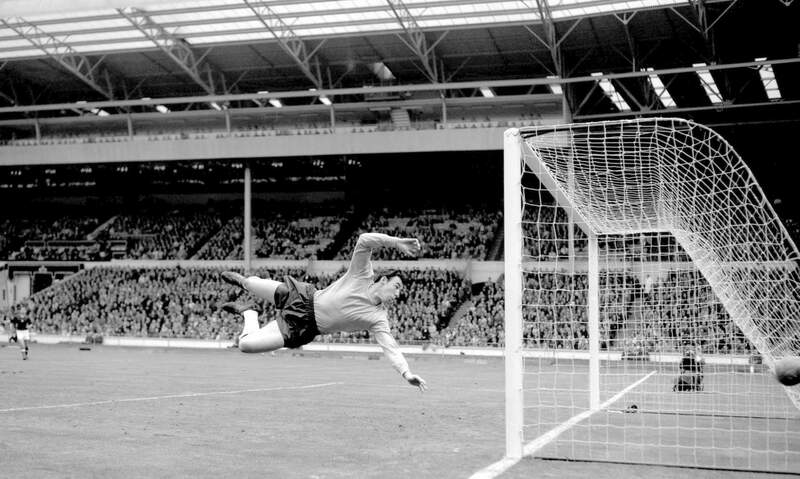 English soccer club Stoke said Tuesday that World Cup-winning England goalkeeper Gordon Banks has died at 81. 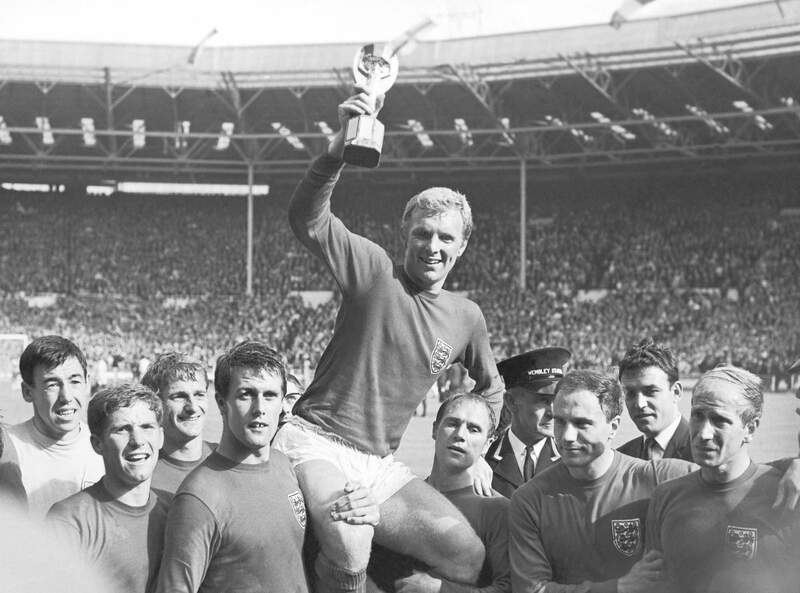 In this July 30, 1966 file photo England’s soccer team captain Bobby Moore, is carried shoulder high by his team mates holding World Cup on July 30, 1966. England defeated West Germany 4-2 in the final, played at London’s Wembley Stadium. From left to right, goalkeeper Gordon Banks, Alan Ball, Roger Hunt, Geoff Hurst, Moore, Ray Wilson, George Cohen and Bobby Charlton. 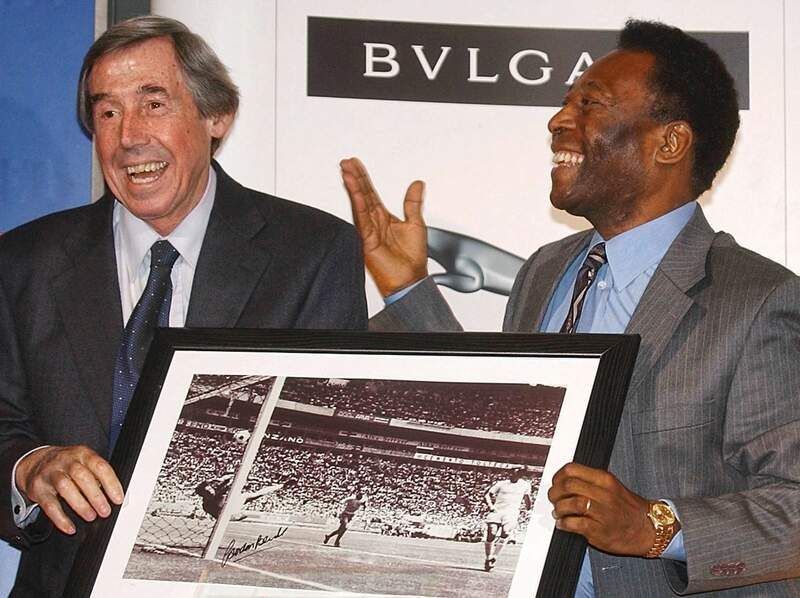 English soccer club Stoke said Tuesday Feb. 12, 2019 that World Cup-winning England goalkeeper Gordon Banks has died at 81. Aiming a header to bounce off the hard field, Pele was certain the ball would creep inside the England goalkeeper’s right post and threw his arms into the air to celebrate what he thought was an opening goal for Brazil. The supreme feat of athleticism and agility on soccer’s biggest stage became widely acclaimed as the save of the century. When Banks died on Tuesday at age 81, this was the viral moment from an analogue age racking up millions of views across social media. Banks already had cemented his status as one of English soccer’s most revered players four years earlier in helping soccer’s home nation win what remains its only World Cup title. He conceded only one goal in five games, on a penalty kick by Portugal’s Eusebio, before England’s 4-2 win over West Germany in the final at Wembley Stadium. Pele himself once compared it to a “salmon leaping up a waterfall ,” and says the save remains among the best he has ever seen. Brazil won that 1970 group game 1-0 and then went on to its third World Cup title. Banks was beaten by the player who had provided that earlier cross for Pele – Jairzinho – but the save has gained more recognition than the goal in the annals of soccer history. It was the result of Banks’ attention to detail in training sessions in Mexico. “I knew that I had to come off the line to narrow the angle, then once Pele had punched it with his head down to my right-hand side, I knew I had to get over there very quickly,” Banks said. “The ball was going in and as I dived I had to anticipate how high it was going to come up from the hard surface. It forged a special bond between one of the greatest strikers and goalkeepers. When a statute of Banks was unveiled outside Stoke City’s stadium in 2008, Pele attended the ceremony. Banks’ death was announced in a short statement from his family on the website of Stoke, the English club he was playing for in 1970. No cause of death was given. “Banksie,” as he was known, was already in his 20s when he started his club career by making his debut for Chesterfield in 1958-59 before spells with Leicester (1959-67) and Stoke (1967-73) in England’s top division. He won the League Cup with Leicester and Stoke. He is the fourth member of England’s lineup from the 1966 World Cup final to die, following captain Bobby Moore, Alan Ball and Ray Wilson. England coach Gareth Southgate remembered Banks as “an all-time great for England,” and the team posted video of the 1970 World Cup save on its Twitter account. Banks’ final moment on the international stage came at the Kremlin in Moscow in December 2017 when he helped to draw the teams for last summer’s World Cup. One of Banks’ kidneys was removed in 2005 because of cancer. He underwent treatment again a decade later when the disease was discovered on the other kidney.